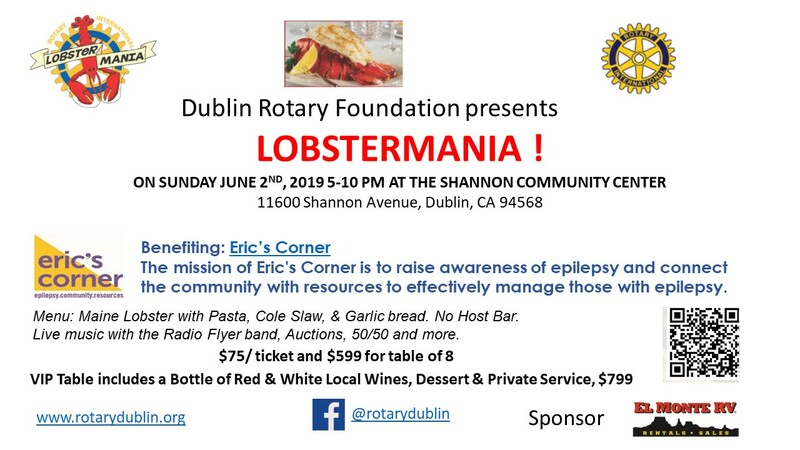 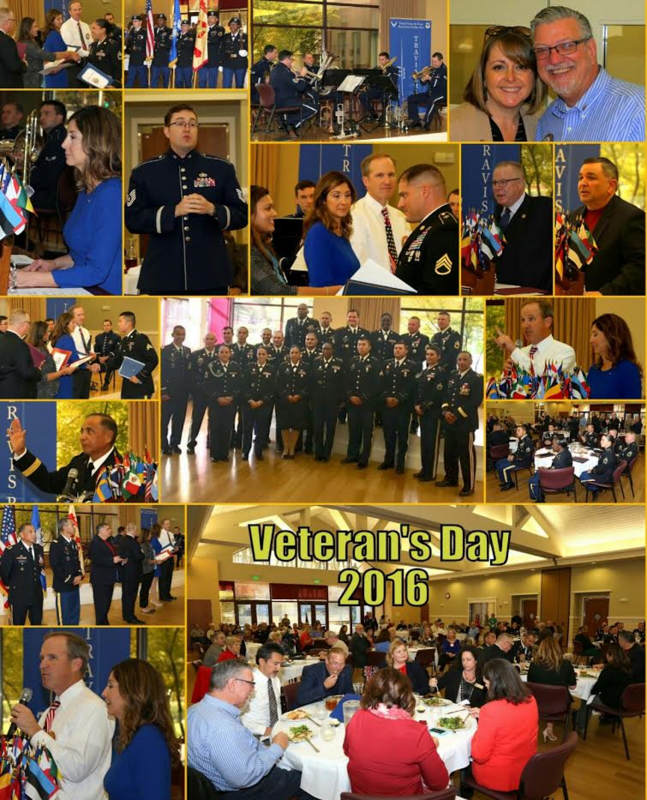 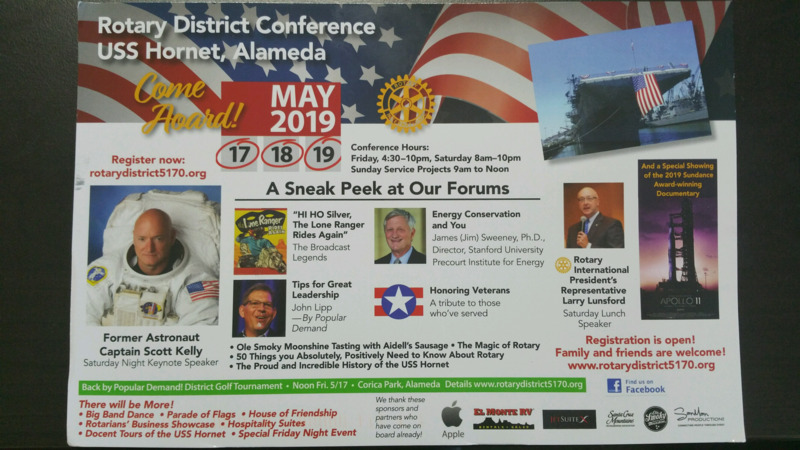 Visit us and find out what Rotary is about. 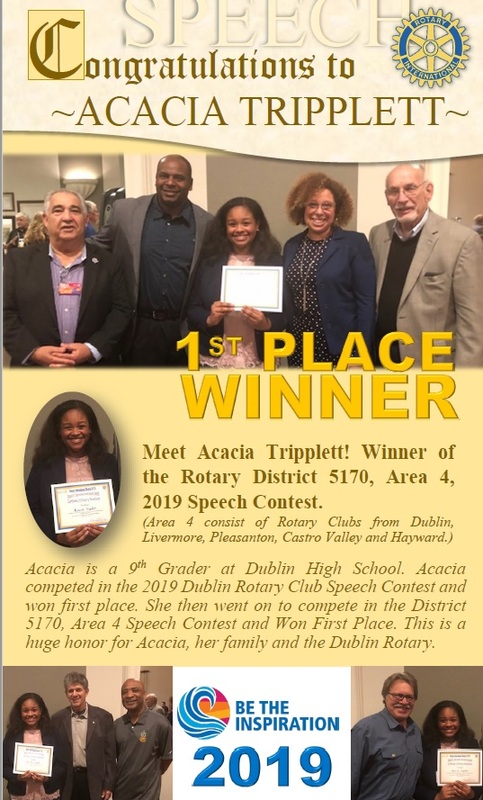 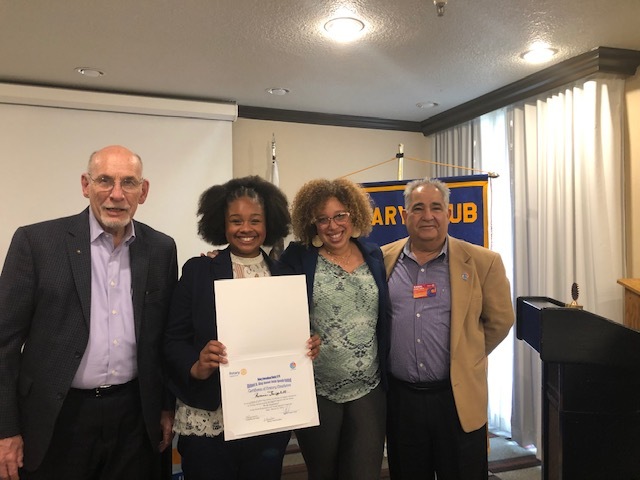 Acacia Tripplett from Dublin High is among the four finalists that will compete for the Rotary District 5170 Speech Contest on April 6, 2019 in Santa Clara. 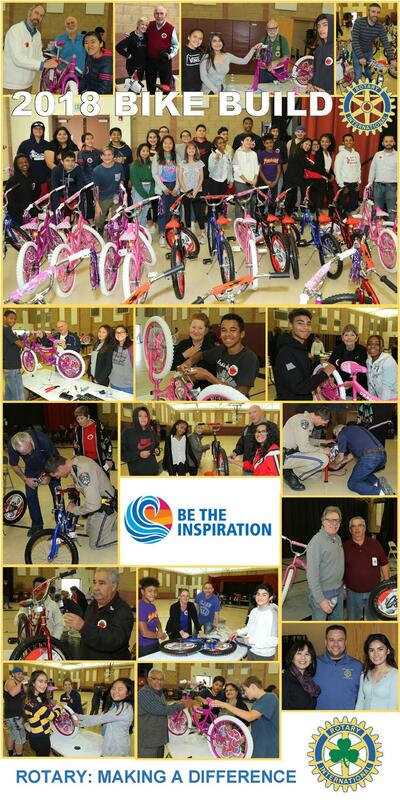 Frederiksen Elementary-kicked off their One School One Book program.Donations from the community (including The Rotary Club of Dublin)helped make this program a success.